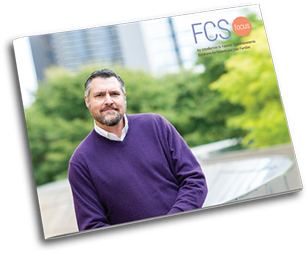 While FCS is rare and often misunderstood, there are a growing number of resources and organizations that provide information and support to patients with FCS and their families. For more information about FCS, including available educational materials and support services, contact the FCS Foundation at livingwithfcs.org or on Facebook at facebook.com/fightFCS. You can also follow the foundation on Twitter at @livingwithfcs. Visit FCSFocus.com, where you can access tools, nutrition information, and order patient resources, such as FCSFocus, the first patient guide about familial chlyomicronemia syndrome. 1. Brahm AJ, Hegele RA. Chylomicronaemia--current diagnosis and future therapies. Nat Rev Endocrinol. 2015;11(6):352-362. doi: 10.1038/nrendo.2015.26. 2. Gaudet D, Brisson D, Tremblay K, et al. Targeting APOC3 in the familial chylomicronemia syndrome. N Engl J Med. 2014;371(23):2200-2206. doi: 10.1056/NEJMoa1400284. 3. Chait A, Brunzell JD. Chylomicronemia syndrome. Adv Intern Med. 1992;37:249-273. 4. Bijvoet SM, Bruin T, Kastelein JJ. The familial hyperchylomicronaemia syndrome. Neth J Med. 1993;42(1-2):36-44. 5. Kadam SS, Mahadik KR, Bothara KG. Principles of Medicinal Chemistry Vol. 1. 17th edition. Nirali Prakashan; 2010. 7. Stuyt PM, Demacker PN, Stalenhoef AF. Pancreatitis induced by oestrogen in a patient with type I hyperlipoproteinaemia. Br Med J (Clin Res Ed). 1986;293(6549):734. 8. Warth MR, Arky RA, Knopp RH. Lipid metabolism in pregnancy.III. Altered lipid composition in intermediate, very low, low and high-density lipoprotein fractions. J Clin Endocrinol Metab. 1975;41(4):649-655. 9. Bryant LM, Christopher DM, Giles AR, et al. 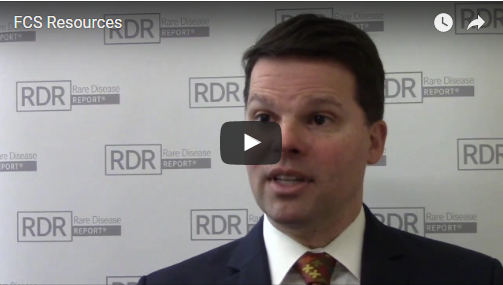 Lessons learned from the clinical development and market authorization of Glybera. Human Gene Ther Clin Dev. 2013;24(1):55-64. doi: 10.1089/humc.2013.087. 10. Gaudet D, Méthot J, Kastelein J. Gene therapy for lipoprotein lipase deficiency. Curr Opin Lipidol. 2012;23(4):310-320. doi: 10.1097/MOL.0b013e3283555a7e. 11. Gagnè C, Brun LD, Julien P, Moorjani S, Lupien PJ. Primary lipoprotein-lipase-activity deficiency: clinical investigation of a French Canadian population. CMAJ. 1989;140(4):405-411. 12. Gaudet D, de Wal J, Tremblay K, et al. Review of the clinical development of alipogene tiparvovec gene therapy for lipoprotein lipase deficiency. Atheroscler Suppl. 2010;11(1):55-60. doi: 10.1016/j.atherosclerosissup.2010.03.004. 13. Pouwels ED, Blom DJ, Firth JC, Henderson HE, Marais AD. Severe hypertriglyeridaemia as a result of familial chylomicroaemia: the Cape Town experience. S Afr Med J. 2008;98(2):105-108. 15. Chait A, Robertson T, Brunzell J. Chylomicronemia syndrome in diabetes mellitus. Diabetes Care. 1981;4(3):343-348. 16. Brown A, Ross J, Gilstrap A, et al. The burden of illness and psychosocial consequences of living with familial chylomicronemia syndrome (FCS): patient and caregiver perspectives. Poster session presented at: the 2016 Congress of the American Society for Preventative Cardiology; September 2016; Boca Raton, FL. 17. Nawaz H, Koutroumpakis E, Easler J, et al. Elevated serum triglycerides are independently associated with persistent organ failure in acute pancreatitis. Am J Gastroenterol. 2015;110(10):1497-1503. doi: 10.1038/ajg.2015.261. 18. National Organization for Rare Disorders. The physician's guide to lipoprotein lipase deficiency (LPLD). 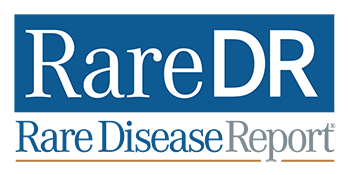 National Organization for Rare Disorders website. http://nordphysicianguides.org/wp-content/uploads/2015/04/NORD_Physician%E2%80%99s-Guide-to-Lipoprotein-Lipase-Deficiency.pdf. 19. Sarr MG, Sakorafas GH. Incapacitating pain of chronic pancreatitis: a surgical perspective of what is known and what needs to be known. Gastrointest Endosc. 1999;49(3 Pt 2):S85-S89. 20. Wolfgram PM, Macdonald MJ. Severe hypertriglyceridemia causing acute pancreatitis in a child with new onset type I diabetes mellitus presenting in ketoacidosis. J Pediatr Intensive Care. 2013;2(2):77-80. 21. CMFB [patient comment]. Pancreatitis - symptoms. MedicineNet website. www.medicinenet.com/pancreatitis/patient-comments-36-page3.htm. 22. Tremblay K, Methot J, Brisson D, Gaudet D. Etiology and risk of lactescent plasma and severe hypertriglyceridemia. J Clin Lipidol. 2011;5(1):37-44. doi: 10.1016/j.jacl.2010.11.004. 23. TriCor [patient information]. North Chicago, IL: Abbott Laboratories; 2007. 24. Williams L, Wilson DP. Editorial commentary: dietary management of familial chylomicronemia syndrome. J Clin Lipidol. 2016;10(3):462-465. doi: 10.1016/j.jacl.2015.12.023. 25. Meyers CD, Tremblay K, Amer A, Chen J, Jiang L, Gaudet D. Effect of the DGAT1 inhibitor pradigastat on triglyceride and apoB48 levels in patients with familial chylomicronemia syndrome. Lipids Health Dis. 2015;14:8. doi: 10.1186/s12944-015-0006-5. 26. Brunzell JD. Familial lipoprotein lipase deficiency. In: Pagon RA, Adam MP, Ardinger HH, et al, eds. GeneReviews. Seattle, WA: University of Washington, Seattle; 2011:1993-2017. 27. Sugandhan S, Khandpur S, Sharma VK. Familial chylomicronemia syndrome. Pediatr Dermatol. 2007;24(3):323-325. 28. Jacobson TA, Maki KC, Orringer CE, et al; NLA Expert Panel. National Lipid Association recommendations for patient-centered management of dyslipidemia: part 2. J Clin Lipidol. 2015;9(suppl 6):S1-S122.e1. doi: 10.1016/j.jacl.2015.09.002. 29. Alexander L, Williams L, Welstead L, Rhodes K, Karmally W, Sutton L. Familial Chylomicronemia Syndrome (FCS): Medical Nutrition Therapy Guidelines for Patients and Healthcare Providers. Poster presented at: the National Lipid Association 2017 Scientific Sessions; May 2017; Philadelphia, PA.
30. Gaudet D, Blom DJ, Bruckert E, et al. Acute pancreatitis is highly prevalent and complications can be fatal in patients with familial chlyomicronemia: results from a survey of lipidologists. Presented at: National Lipid Association Scientific Session, May 19-22, 2016, New Orleans LA.